Saying what you mean to say can often feel more complicated than it needs to be. Emotions, stress and pressure can get in the way and cloud our judgment or leave us staring at a blank page, unable to form sentences. But, with a little bit of guidance and careful consideration, communicating those words will start to become a whole lot easier. 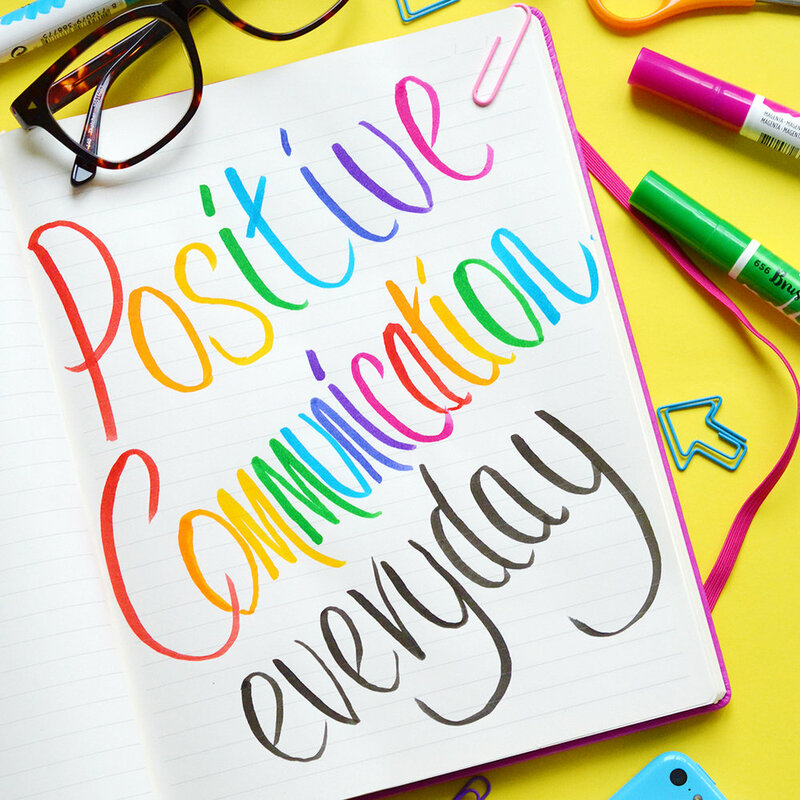 This is a brand new blog series dedicated entirely to the art of positive communication every day. Throughout the series I will be sharing tips and ideas on how to say what you mean in a more positive and friendly way. So, you can expect to see a whole range of posts from replying to that awkward email, to tips on how to write an About page and ideas for encouraging team work and community spirit as part of an online team. To kick-start things, I thought I'd start by posing six quick questions to gather your thoughts on areas that you find tricky. This will help me to see what areas of communication you would like opened up for discussion and where I can suggest some positive approaches. Simply leave your answers in the comment field below or drop me a line on Twitter, Facebook, Instagram or via email, to let me know what areas you would appreciate some help on. For example, it could be anything from writing a product description, to encouraging a positive community spirit in your team or even, getting over the fear of picking up the phone. No answer is a silly answer and if you'd prefer to share your thoughts via email, I'd love to hear from you. 1) Do you have a preferred form of communication and if so, why? This could be emailing, instant messaging, mobile, in person etc. 2) What area of communication do you struggle with the most? This could be anything from replying to emails, phone calls or team meetings. 3) Do you have something you're putting off at the moment? Perhaps you're putting off writing a new About page or struggling with a product description. Maybe it's a phone call you need to make. 4) Is there a reason you're putting it off? Lack of time? Writer's block? Uncertain of how to approach it? 5) When was the last time your communication skills didn't quite go so well? How would you handle it differently? 6) Can you remember a time when your communication skills went well? Why do you think that was? Don't worry if you can't answer all six questions, simply write down your answers to those you can. Thanks so much for reading and taking part. I have lots of ideas for this series and I'm really excited to get started! I'll be back next week with my first instalment. So, until then, stay positive!